Creating "Facebook Ads" is what comes in mind when "Marketing" strikes. But there are lot more opportunities or tools that make any business page or campaign become successful. After all the main intention behind is to bring more customers to the business. One such tool or method to get more visitors is "Ads". But sometimes ads are overlooked by people and don't look up even if your page is most alluring. In that case, using some other methods or tools have to be applied. Ripe Social : This is a premier Facebook Marketing Services company that focus on helping small and medium size businesses. They leverage the power of the world's largest social network, Facebook, to increase brand awareness, promote client interaction, drive website traffic, cultivate repeat business, generate sales leads and ignite viral marketing. It is a paid tool. AppForma: Using this tool you can create a coupon, sweepstakes, bring a friend and vote for us type of tools. OpenGraphy: This connects your website with Facebook page. It analyses, maximizes,socializes and advertises. 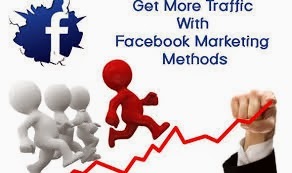 Facebook Marketing tool: This is different from all others. Featuring ready-to-use fans, start word or mouth campaign. Take the use of these tools and make your fan page go viral and reach many customers. Social Media Marketing Agenciesand digital media aspirants..